***NOTE: FIRST PHOTO SHOWS NATURAL CLEAR FINISH. SECONDARY PHOTOS SHOW MICHAEL'S CHERRY STAIN OPTION. *** Other Ohio Certified Stains available upon request (contact us). 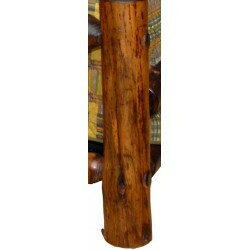 Nothing compares to the unique beauty of natural, hand-crafted rustic Pine Log furniture. 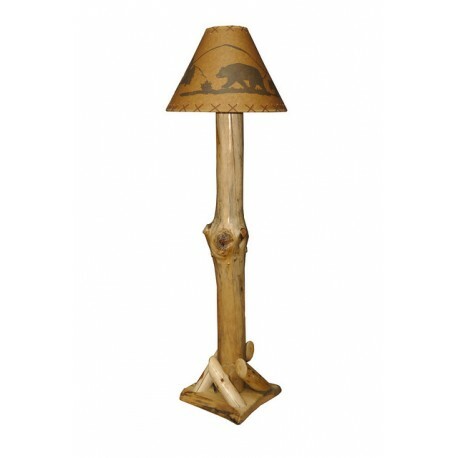 This rustic pine log floor lamp is an excellent choice for a rustic mountain lodge, ski cabin, country cottage, and much more. All of our pine furniture is made with hand selected, light tone logs chosen for their unique knotting pattern. Every piece will be one-of-a-kind and unique. Constructed by skilled Amish craftsmen, our products are sanded and lacquered for beauty and durability. 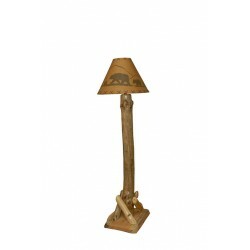 Sturdy and substantial, these items will last generations. Some assembly required. 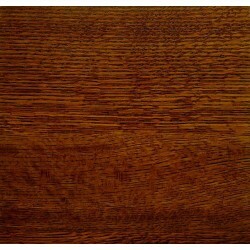 This listing has two available stains - Clear Varnish and Michael's Cherry Stain. 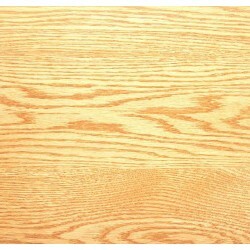 If you're interested in other stain options, any of the Ohio Certified Stains may be requested. Just contact the seller if you would like a stain other than the two listed here. All custom made. Professionally applied lacquer finish for added beauty and durability, Amish made in the USA, Mortis and Tennon Joinery, Substantial and Sturdy Approx. 5-7" Diameter Pine Logs. 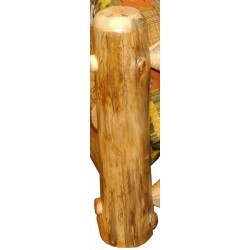 Due to variability in logs, each piece will be unique, may vary from photographs. Proudly made in USA. 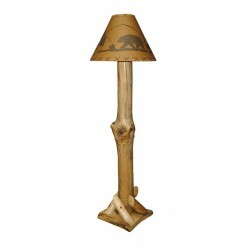 You will enjoy the durability and beauty of this rustic pine log floor lamp in your home for years to come. FREE SHIPPING! Please allow 4 weeks for construction.